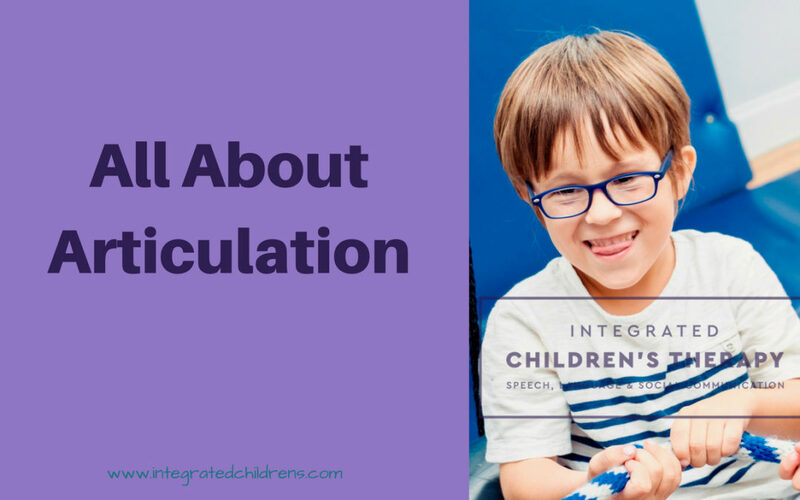 Articulation is the way we use our tongue, lips, jaw, teeth and palate to make speech sounds. It’s the key to pronouncing words correctly so we can communicate clearly and effectively. Substitutions — A child substitutes one sound for another. For example, wabbit instead of rabbit. Omissions — A child leaves a sound out of a word. For example, geen instead of green. Additions — A child adds sounds to a word. For example, buhlack instead of black. Distortions — A child changes a speech sound, such as when a lisp distorts the ’s’ sound: (thun instead of sun). It’s normal for children to make speech errors when they’re learning how to talk. But, if they don’t master certain sounds by certain ages, it’s a good idea to check in with a pediatric speech-language pathologist (SLP). Articulation challenges can cause frustration for both the speaker and listener, and can negatively impact self esteem, relationships, school performance, and social interactions. Ask your child’s SLP for specific activities to do with your child that align with therapy goals. Keep it positive! Articulation challenges can be tough on a child’s self-esteem. When doing “therapy homework,” keep it upbeat and encouraging. Model correct speech. As part of daily conversation, repeat back correctly the sounds your child says wrong. If she says, “I see free birds,” you can reply with, “Oh, you see three birds?” This, rather than directly correcting her errors, is a natural, positive way to model speech sounds. Spend time communicating with your child. Take advantage of opportunities to verbally interact. Chat in the car, play “I Spy” while you’re preparing dinner, join your child while she plays, and sing songs together. Use these opportunities to encourage her to repeat sounds and words. Read to your child every day. Stories with rhyme and repetition (such as Dr. Seuss books) are especially helpful. If you’re concerned about your child’s articulation, please give us (or a skilled SLP in your area) a call!